For instance, well-known activists Bill Fletcher and Carl Davidson penned an article this year, “The 2012 Elections Have Little To Do With Obama’s Record … Which Is Why We Are Voting For Him.” In 2008, they created “Progressives for Obama” with a militant declaration to “isolate and defeat” those leftists who failed to jump on that bandwagon. After four years of the Democratic administration expanding austerity measures, assaulting civil liberties, launching drone attacks and expanding war, they are now more reserved in their language. But their strategy is unaltered. In fact, they have been urging the same policy, with slightly different explanations, for decades. While defenders of this pragmatist theory view their support for the Democratic Party as a defensive position, holding the line against even further right-wing encroachment, they in fact encourage it. As the terms of politics shift to the right, so do the expectations of progressives. By accepting, in advance, that the Democrats are a superior choice, the bar is lowered every election cycle. To use the example of organized labor, four years ago it donated hundreds of millions of dollars in the hope that the Employee Free Choice Act would be passed. Once the Democrats abandoned it, the unions let it go. Now they justify their contributions based on the meager hope of having more “labor-friendly” National Labor Relations Board appointees. Labor’s resources—which should be utilized on organizing drives and strike funds—are flushed down the toilet. Supporters of this position typically point to the structural difficulties of U.S. electoral politics. Since the forces of the left are too weak to overcome the two-party system, they claim some sort of adaptation to the Democratic Party is necessary. Some advocate a long-term strategy of organizing inside the Democratic Party and trying to influence its politics, while others advocate a more short-term approach, “holding one’s nose” and voting Democrat on Election Day. By electing a “slightly better” party, they claim the damage to working people will be minimized, and they will have a better shot at winning reforms. In reality, the Fletcher-Davidson policy leads to demobilization among progressives, as resources, time and energy are repeatedly diverted. It also encourages demoralization, as poor and working people see all these efforts accomplish nothing substantive. Lastly, while capitalism tanks and the big business candidates fill the airwaves with propaganda about resolving the crisis, the “pragmatic” approach tells socialists to keep their program “temporarily” quiet. It requires leftists to withhold their radical critique from the very social sectors that should be the base of a powerful anti-capitalist movement—essentially to lie to the masses of people. One cannot do a Get-Out-the-Vote campaign for the Democrats while describing them, accurately, as a party of Wall Street, listing their war crimes and austerity measures. Thus, while Davidson and Fletcher will speak sympathetically about such issues in articles to be read by other leftists—campaigning for Obama requires their censorship. 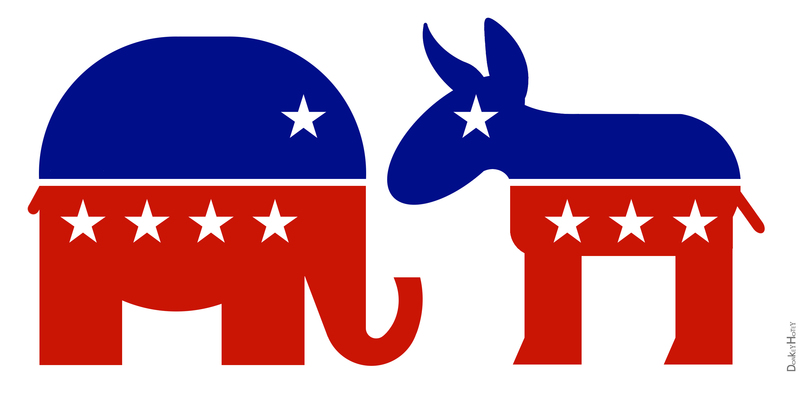 The Republican Party and Democratic Party are not the same. Their recent party conventions adopted platforms that are formally quite far apart on several important social issues. The two parties have a different social composition and geographic base. The Democrats, based in the Northeast, Midwest and West Coast, draw support primarily from young urban professionals, organized labor, Black and Latino communities, and a significant sector of poor and working-class whites. The Republican Party is overwhelmingly white, more popular in suburban and rural areas, and draws heavily from the “Bible Belt” and “Sunbelt,” the heartlands of both evangelical Christianity and the military-industrial complex. The average Republican voter tends to have a higher income than the average Democrat, but the Republicans also draw from working–class whites. These are of course lots of individual exceptions but these are the broad trends. Both parties are, however, ruling-class parties. In financial, political and even social terms, both parties are tied deeply to the largest banks and corporations—and often the same ones. In turn, both parties craft policies that serve the dominant economic institutions of society. Both parties kneel at the altar of U.S. imperialism, are dedicated to defending it and expanding its reach. At home, they both stand by the brutal police and prison system. Both parties have been driving the country in the same direction for decades now, and towards the same destination. Their road is to a future in which the government safety net is dismantled, working conditions and wages decline to be globally “competitive,” and the power of capital is unrestrained by labor. The Republicans want to speed things up so we get there faster, while the Democratic driver prefers a slightly slower, cruise-control pace. But the car is heading in the same direction regardless of who is driving. Poor and working people, trapped in the backseat, need to be driving in a different direction altogether, towards a different destination. First that means finding a way to get out of the car. While the Democratic Party packages its policies differently for different audiences, its differences with the Republicans are primarily tactical—not strategic. Take the issue of the dismantling (or “reform”) of Medicare and Social Security. There was an avalanche of vapid commentary about how Obama was “not aggressive enough” on these issues during the debate. But the problem of the debate was not one of style but substance. There is a reason Obama was “tepid” in response to Romney—as he admitted, “I suspect that on Social Security, we’ve got a somewhat similar position.” Some Democratic supporters are upset that Obama did not demagogically pose as the defender of the social safety net—but in reality he calmly told the truth about his policies. Both parties propagate the false notion that to save health care and retirement programs for older Americans they must ultimately be reduced. Republicans want to turn such programs into voucher systems where the elderly are given a set amount of money and turned to the whim of the market. Such policy differences between Democrats and Republicans thus express different ways of packaging the same class-based approach to social services. Many of those encouraging a “pragmatic” vote for the Democrats offer a checklist approach of politics, in which the Democrats are deemed to be “good” on one thing, and “bad” on the other. This entire notion of comparing the parties “on the issues” is inadequate. By putting each “issue” in its own separate silo, one implicitly suggests that the attacks on civil liberties, or the Afghanistan occupation, are not important enough to be decisive. In reality, these “issues” reflect a class program, which permeates the entire Democratic Party agenda. Civil liberties, racism and workers’ rights must not be looked at individually. To use the example of labor once again, how can a party that eliminates civil liberties, conducts extensive anti-Muslim surveillance, cracks down hard on the Occupy movement, and has practically turned Black and Latino communities into military-occupied areas be “good” for labor? The ruling class, Republicans and Democrats alike, will respond to a resurgent and radical labor movement in fundamentally the same way. The expansion of the security state, while rhetorically aimed at “terrorists” and “criminals” is a major threat to mass movements of any sort. A key element of the pragmatic argument is to play up the “historic” importance of the current election. Even if we oppose the Democrats on a good many issues, this year the Republicans are so evil and the implications so grave that we must “tactically” and “temporarily” unite with the Democratic Party. But the notion of “temporary” support is disproven by the fact these “leftists” have been saying the exact same thing every four years for decades! What they are reinforcing is not some tactical exception, but a political strategy based on repeated and periodic unity with the “less evil” section of the ruling class. What has this strategy, the same at each election, delivered? Even when the Democrats have been in complete control of government, the year-to-year drift in U.S. politics has been towards the right, attacks on labor, severe austerity, a racist and draconian criminal justice system and renewed assaults on women’s rights. This has been the case under Obama too. The reality is that the ruling class in both parties generally operates with a common strategy and common assumptions, over a long period of time. Since World War II, both parties have agreed on the signal importance of furthering U.S. imperialism. From the 1930s to the mid-1970s, both parties accepted the New Deal framework and the economic policies at its foundation. From the mid-1970s to the present, both parties have accepted an economic strategy has been towards austerity and neoliberalism. The overall ruling-class strategy of an era, which it promotes as “common sense,” does not change according to elections. It changes according to major world and economic developments. Likewise, the shifting of the political spectrum and political consciousness happens primarily on account of the emergence of mass movements. Capitalist political elites adapt to co-opt, harness and/or repress these movements. While some hope to “push Obama to the left,” elite Democrats and top White House officials exude absolute contempt for progressives who dare to challenge the administration. For not cheerleading the right-wing march of politics, they are portrayed as hopeless idealists and wildly out-of-touch. In reality, just as the Obama team dropped the leftish rhetoric and pivoted hard to the right as soon as it took office in 2008, it is already positioning for a similar move if it wins again. The talk of a “Grand Bargain”—a bipartisan agenda to dramatically restructure Social Security and Medicare—is not idle. It is a signal of a major drive towards austerity over the next four years that the Democrats aim to lead. At a time when progressives, poor and working people should be gearing up for a major battle, “pragmatic” leftists are encouraging votes for the government’s sitting CEO. What will they say in 2016? Two points must be emphasized: 1) To shift the political climate in favor of poor and working people requires a mass movement embodying their demands. 2) The Democratic Party will never represent such a movement, and only seek to misrepresent it for its own purposes. Millions of people agree with the first point, but are not yet sure of the second. The elections must be used as a venue to speak directly to these issues, clarify the nature of capitalism and expose the country’s political leadership. The Party for Socialism and Liberation is running a presidential ticket, and will be on the ballot in 13 states. We have no chance of winning. But we have a chance to present a perspective in the interests of oppressed communities, and poor and working people. We offer an opportunity for leftists to tell the truth to their co-workers, classmates and neighbors. We offer an opportunity for the righteously frustrated and newly radicalized to register their opposition. Most importantly, we present the message that poor and working people must continue to build the organizational vehicles needed to challenge capitalist power. While the Republicans and Democrats wage their personality contest, we aim to crystallize an idea that is widely felt but still latent: We don’t just need new politicians, we need a new system.